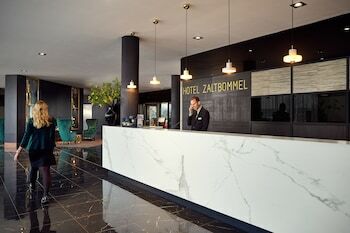 With a stay at Van der Valk Hotel Zaltbommel-A2 in Zaltbommel, you'll be 1.4 mi (2.2 km) from Stadskasteel Zaltbommel and 10.7 mi (17.2 km) from Stedelijk Museum. Featured amenities include complimentary newspapers in the lobby, dry cleaning/laundry services, and a 24-hour front desk. Event facilities at this hotel consist of a conference center and meeting rooms. Free self parking is available onsite. With a stay at Oostappen Vakantiepark Droomgaard in Kaatsheuvel, you'll be a 4-minute drive from De Efteling and 7 minutes from Efteling Theme Park. Free self parking is available onsite. A stay at this bed & breakfast places you in the heart of Amsterdam, within a 15-minute walk of Anne Frank House and New Church. Featured amenities include multilingual staff and luggage storage. Centre Area Apartments offers accommodations throughout the area in Amsterdam. Featured amenities include multilingual staff and luggage storage. Located in Maastricht (Maastricht-Centre Urban District), Hotel The Dutch is within a 15-minute walk of Market and Bonnefanten Museum. Self parking (subject to charges) is available onsite. A stay at this apartment places you in the heart of Leeuwarden, within a 10-minute walk of Het Princessehof and Grote Kerk. When you stay at Hotel Café Restaurant De Posthoorn in Dokkum, you'll be 15 minutes by car from De Brink Agricultural Museum. The front desk is staffed during limited hours.